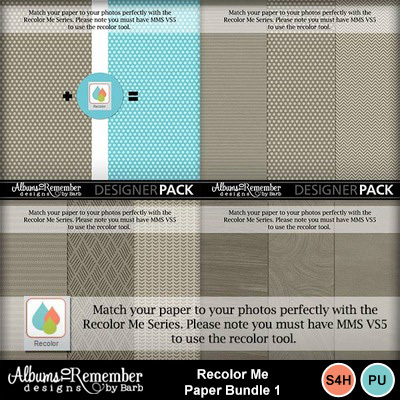 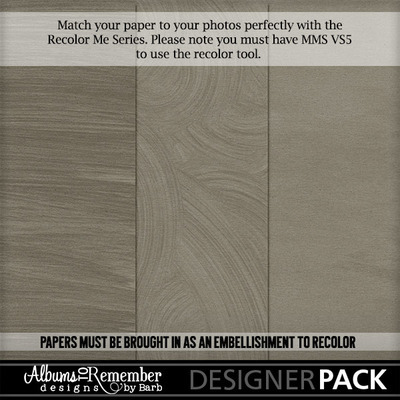 This bundle includes the Recolor Me Paper Sets A, B and C. Nine papers in total ready for you to recolor and add to your layout. 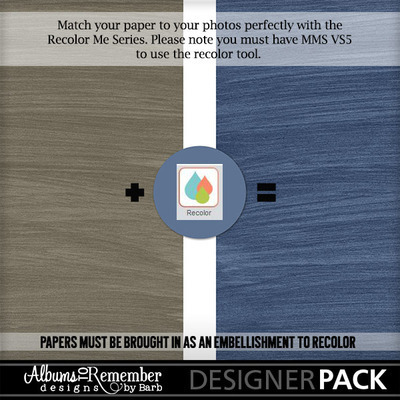 Best part is that the texture comes through on the recolor so your layout has some depth. 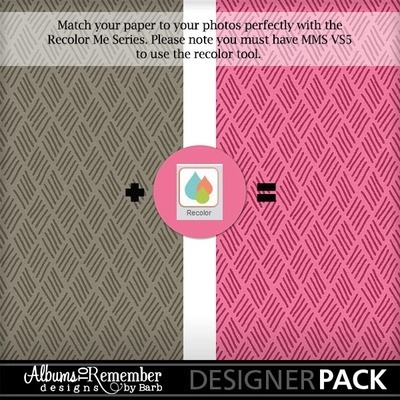 Please check out all my Recolor Me products. Recolor Me sets only work in My Memories VS 5.